On Friday the 23rd of May 2014 the Norwegian Government presented a bill to Parliament where it proposes to invest nearly NOK 3.7 billion (USD 622 million) in the third and final phase of development of the Joint Strike Missile. The JSM has been in development since 2004 and is one of the most advanced military development programs ever conducted in Norway. 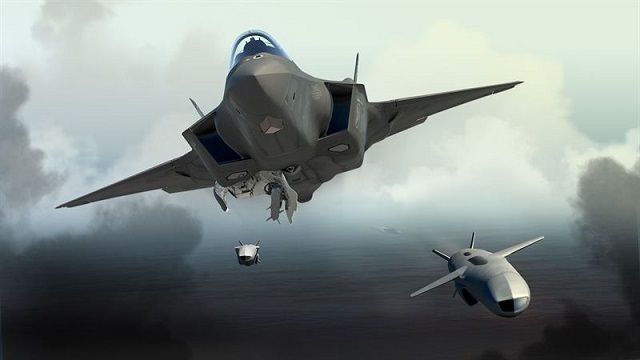 Its objective is to equip future Norwegian F-35 combat aircraft with a weapon that allows for successful engagement of highly defended sea- and land targets at very long range. The combination of the F-35 and the JSM significantly strengthens Norway’s ability to present a credible threshold against war and conflict, as any opponent must account for the fact that the very presence of this capability makes the use military force against Norway both high risk and potentially very costly. Events over the past few years, such as in Libya as well as in Eastern Europe, has yet again emphasized the importance of improved burden-sharing within NATO. Norway wishes to carry its share of the responsibility for the security of the alliance through further development of its own Armed Forces. New combat aircraft, along with the JSM, will strengthen Norway’s national threshold against war and conflict in its own immediate region, which is also NATO’s northern region. In addition, by developing the JSM, Norway brings capabilities and technologies to the table that may be made available to other partner nations, and thereby help strengthen the defensive capabilities of the alliance as a whole. This demonstrates our ability and willingness to invest in both our own security as well as that of the alliance. On 27 February 2013 Lockheed Martin carried out the first external fit check of the JSM on an F-35. The JSM is a long-range precision-guided anti-surface missile being developed in partnership between Kongsberg Defence & Aerospace (KDA) and the Norwegian Armed Forces. In many ways the missile operates as a small autonomous aircraft that has been designed with one specific mission in mind - to give the Armed Forces the ability to strike well-defended targets at a distance. Its main targets will be modern naval vessels equipped with advanced self-defence systems, but the JSM can also be used against land targets. In order to carry out these missions the JSM must be able to make its way to the appropriate target, avoid the target's defensive systems and finally strike its target in exactly the right place. The JSM achieves this capability through a unique combination of technical solutions, several of which have been developed in Norway specifically for the NSM and the JSM. Like its predecessor, the NSM, which is now operational with the Royal Norwegian Navy, the JSM is equipped with a small jet engine, wings and tail fins, and turns and banks like an aircraft. This ensures better maneuverability and greater range than a rocket-powered missile, such as the older Norwegian Penguin anti-ship missile. The JSM is made out of advanced composites, and is designed to have a minimal radar signature. Along with its ability to maneuver like a small aircraft, which allows it to fly along the ground and hide in the terrain, this ensures that the missile usually only will be detected at a very short range from the target. 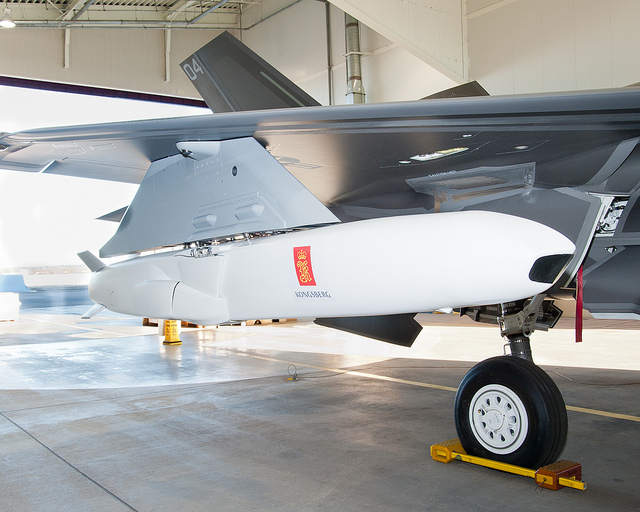 The missile is also the first of its kind designed specifically to fit within the internal weapons bay of the F-35. 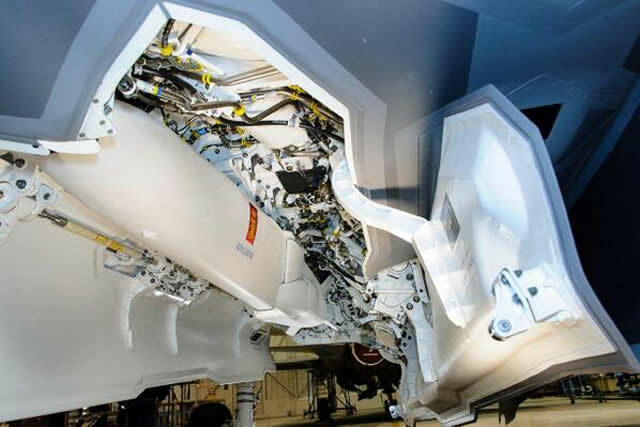 This allows the F-35 to carry up to two JSM internally - one missile in each weapons bay. This ensures that the F-35 will be able to retain its low radar signature while carrying the weapon, making it very difficult to detect for any opponent. The F-35 is also able to detect targets for the JSM at extended distances either using its own powerful sensors, or by using target information transmitted from other platforms. This allows the F-35 to deliver the weapon at a significant distance, which in turn reduces its own risk of detection. In transit to its target the JSM uses several different systems to navigate and to follow the terrain. These systems are mutually supportive, and hence make it very difficult for any opponent to mislead the missile. When approaching the target area the imaging infrared seeker begins to look for the target. The seeker is able to recognize a large number of targets and will not attack before it is both recognized and classified. The seeker is also used to adjust the point of impact so that the missile strikes in precisely the right spot, such as in a specific part of the superstructure of a vessel, in order to achieve the desired effect. Unlike the NSM, the JSM seeker is able to do so against land target as well as naval targets. Once the target has been found and identified, the JSM will have to avoid any defensive systems trying to intercept it. In order to do so, the missile will perform a series of random evasive maneuvers to avoid defensive fire and thereby increasing the chances of successfully striking its intended target. Thanks to an integrated data link it will also be possible to communicate with the missile after it has been launched, and to retarget the missile in-flight. This is a capability currently not included on the NSM. No other known weapon, neither in production nor in development combines this particular set of capabilities, and the JSM therefore presents a unique solution to Norway and other future users of the F-35.